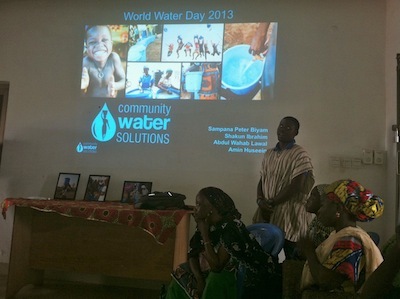 March 22, 2013 — Today the CWS Tamale staff hosted 15 water business entrepreneurs at the CWS office to celebrate World Water Day. This is a tradition at CWS. 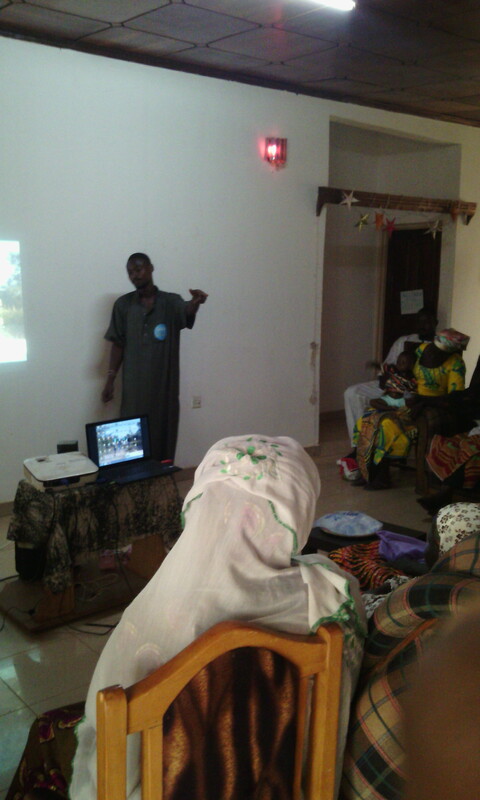 Every year on World Water Day a selected group of women are invited! Now that CWS has 49 water businesses with about 90+ entrepreneurs*, how do we choose which entrepreneurs to invite? This task wasn’t easy because the staff has their favorites! Personally, I’m all for inviting the women from Kpachiyili every year… I guess I’m partial to my fellowship village (aren’t we all?). If Amin had it is way, Ayi from Yakura would be top of the list. But with only 6 staff members in Tamale, it would not be feasible to invite them all. 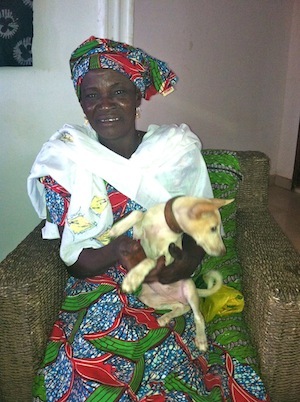 Affilua from Kpanayili poses with the newest member of CWS, Dauphine! We agreed that we should invite a diverse group of entrepreneurs… Some entrepreneurs who run really successful water businesses, some entrepreneurs that have problems with their water businesses and finally some older villages and newly implemented ones. The list was made. We invited the entrepreneurs from Kpalbusi, Kpanayili, Tacpuli, Chani, Zanzagu Yipela, Kadula, Yipela and Nekpegu! Some of these villages are 2 hours away from Tamale, so the logistics of getting all of the entrepreneurs to the office at the same time were complicated. But the staff worked together and managed to get them here before the presentations began! This year for World Water Day we focused on bringing the entrepreneurs together so they could learn from the successes and failures of each other. The CWS Tamale staff, Kathryn, Peter, Shak, Wahab, Amin and myself, have been planning this day for over a month. Shak, Peter, Amin and Wahab put together an interactive presentation to share their insights as field staff members and to engage the women in conversation. Amin, otherwise known as “KG”, gives the introduction. 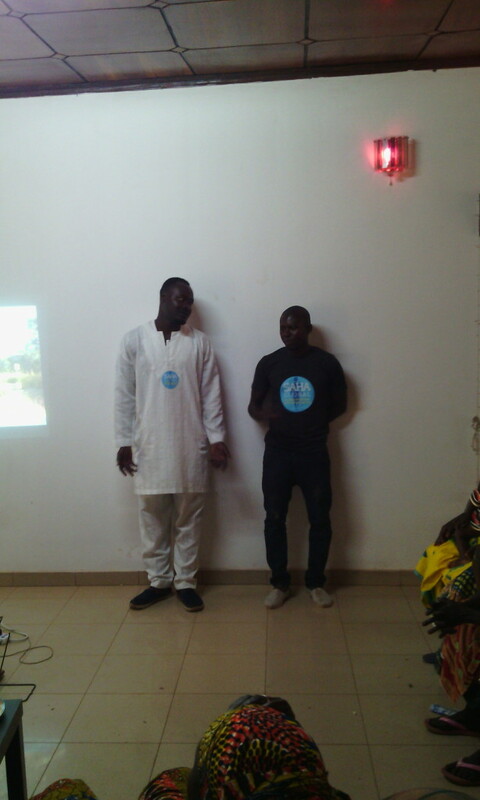 He shared a poem about the importance of water at the end of the presentation. It was beautiful! 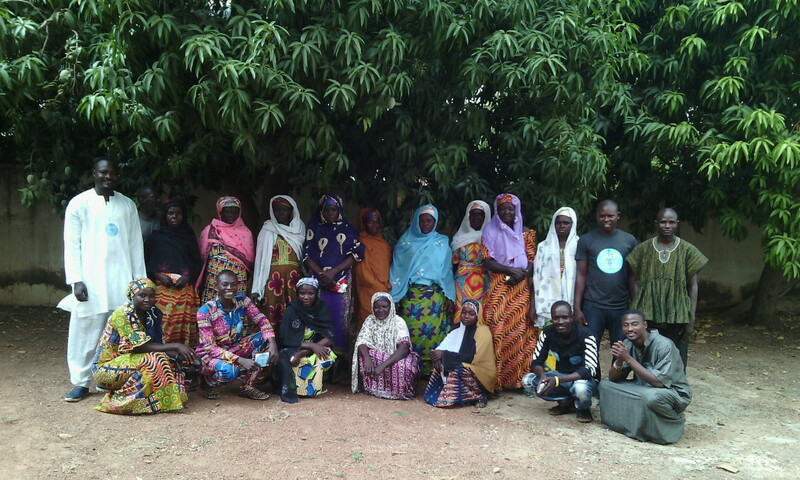 As field staff, we’re in the villages every day meeting with the entrepreneurs. We listen to their problems, ask them their opinions and give them advice on how to fix them. But we’re not the ones carrying 40 L garrawas from the dugouts into the blue drums day in and day out. Sometimes it’s more powerful to hear advice from other water business entrepreneurs. 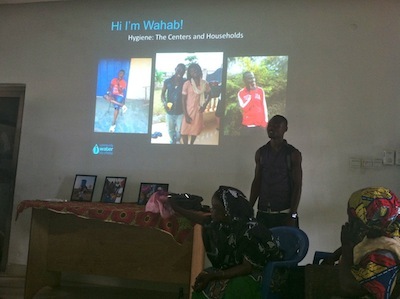 Wahab focused his presentation on household hygiene and center upkeep. He asked the women, “How do you keep the clean water at your centers from getting contaminated?” At first, there were crickets, no one spoke. But the young Binto from Yipela was courageous and spoke first. She talked about thoroughly cleaning the blue drums and the polytank before every treatment. This really broke the ice for all of the other entrepreneurs who gladly jumped in to add to the discussion. Every single woman spoke or responded to a question throughout the presentation. They were really into it! 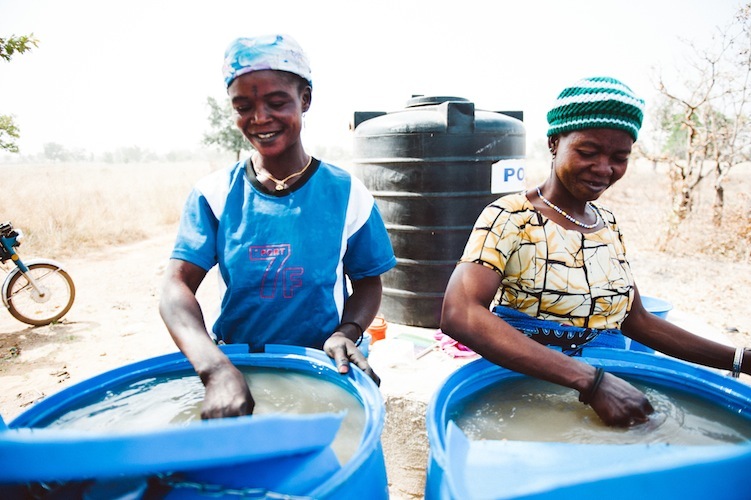 One of the themes CWS touched upon this year at World Water Day was, “Running the Water Businesses like Businesses”. Shak led the discussion on this subject. The entrepreneurs that run their water treatment centers as businesses perform the highest. They have the most customers, they treat the most water, they earn the highest profits and their centers stay open for more months out of the year. Of course, many of the entrepreneurs do have moral ties to selling clean drinking water to their communities. But when an altruistic motivation is what drives the center, the women are more likely to sell water for free or pull money from their own pockets to keep the centers running. This isn’t sustainable in the long run. 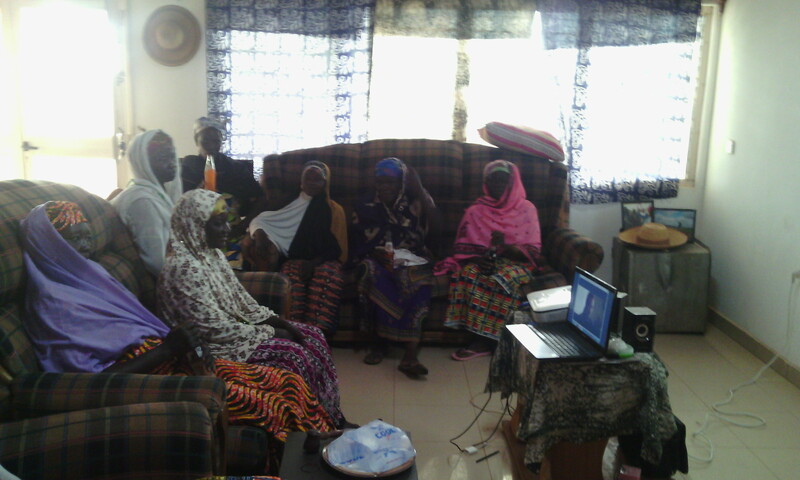 The CWS staff decided to invite Fati and Ramatu from the newly implemented Nekpegu. After only 2 months since opening day, they are already earning high profits. Shak invited Ramatu to come to the front and share her strategies on operating these centers like businesses. 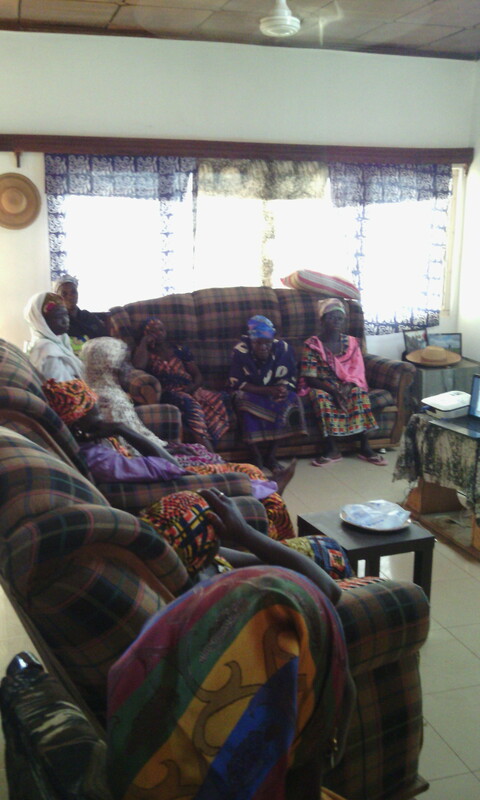 She explained to the women that she always keeps water in her polytank, she has a big opening day every Friday and the women keep track of the households to make sure that everyone is coming. If ever they have a problem, they incorporate the chairman, who has more pull in influencing village behavior. It was awesome! She was really comfortable in front of the big crowd. 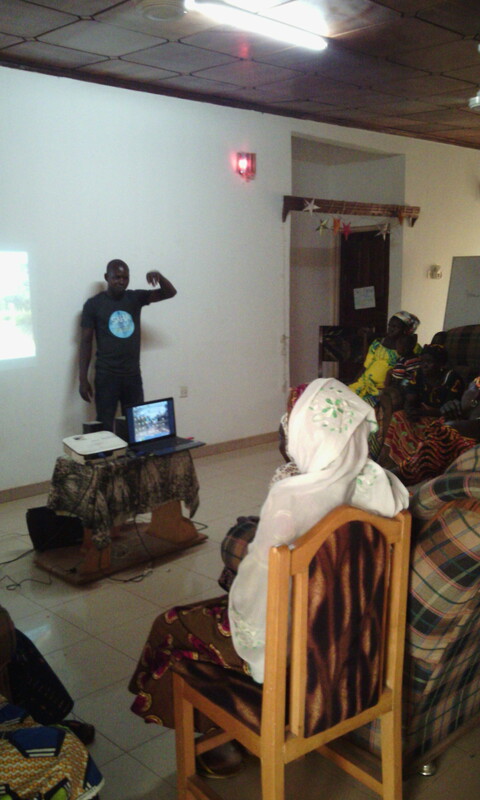 Ramatu of Nekpegu speaks in front of all of the entrepreneurs about ways to run these centers like businesses! 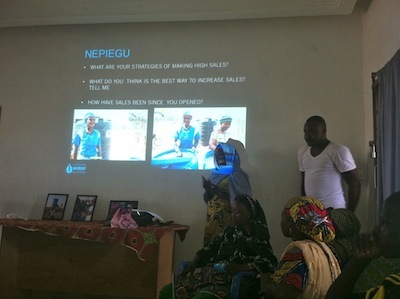 The UN declared that World Water Day 2013 would be the International Year of Water Cooperation, so I find it fitting that the staff came together this year with the water business entrepreneurs. Shak always says, ” We (the staff) are not the ones drinking water in these villages.” He’s right. We don’t drink the water, we don’t know what it’s like to live in a village, and we don’t have all the answers. But by incorporating the entrepreneurs into the conversation, we might just be onto something here. 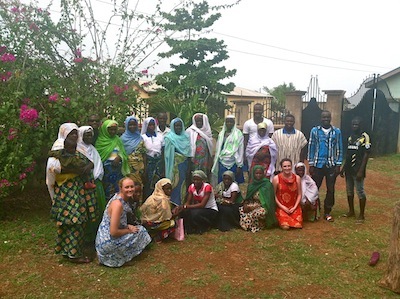 The women entrepreneurs who attended the CWS World Water Day Conference this year. * The number of entrepreneurs running the water businesses is not fixed. 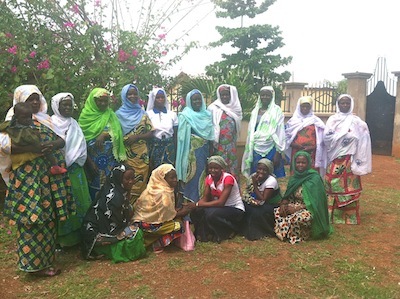 Some women quit to focus on other priorities like farming or taking care of their families. Other times, women are added… more hands make for lighter work!